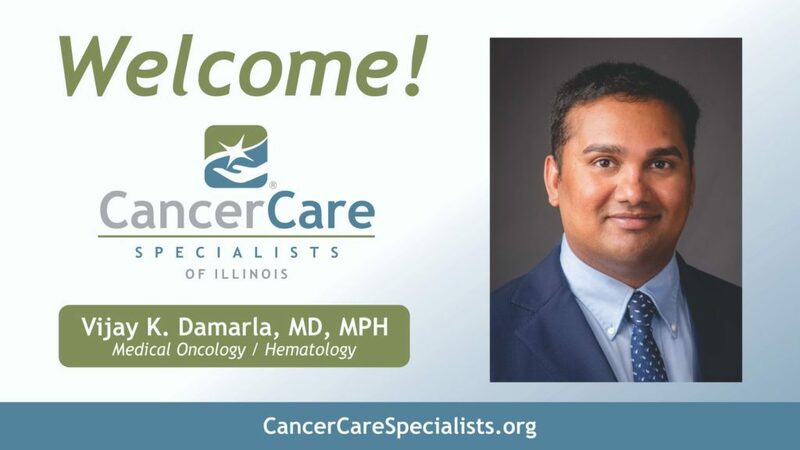 Decatur, IL – Cancer Care Specialists of Illinois (CCSI) is pleased to announce the addition of Dr. Vijay K. Damarla, medical oncologist/hematologist, to its practice in July 2018. 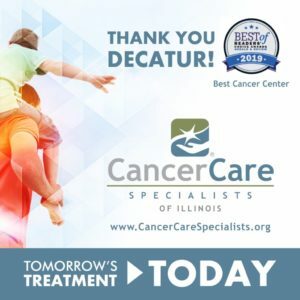 Dr. Damarla primarily sees patients in Decatur at our main office at the Cancer Care Center of Decatur and Crossroads Cancer Center in Effingham. Dr. Damarla received his Bachelor of Medicine and Bachelor of Surgery (MBBS) degree from from the Rangaraya Medical College in Kakinada, Andhra Pradesh, India. 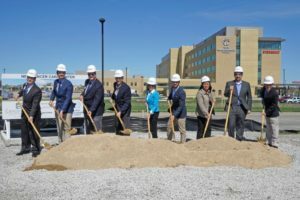 He went on to complete a Masters in Public Health (MPH) in Epidemiology from East Tennessee State University and completed an Internal Medicine Residency at Saint Joseph Mercy Health System in Ann Arbor, Michigan. He subsequently completed fellowship in Experimental Therapeutics at Cleveland Clinic, Ohio, followed by Hematology and Oncology Fellowship at the Henry Ford Health System in Detroit, Michigan. Dr. Damarla is board certified in Internal Medicine and is board-eligible in Medical Oncology and Hematology. He is a member of the American Society of Clinical Oncology, American Society of Hematology and International Association for the Study of Lung Cancer. Dr. Damarla has special interests in Genitourinary and Gastrointestinal Oncology. He was involved in research during his training which resulted in presentations at EORTC 4th St. Gallen International Gastrointestinal Cancer Conference (2018), Kidney Cancer Association Conference (2014) and ASCO Genitourinary Cancers Symposium (2015). He also enjoys spending time with his family, as well as outdoor activities such as biking and hiking. 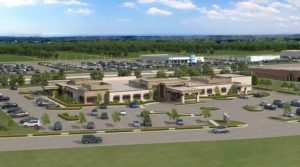 Patients may be referred to Dr. Damarla by their physician or may contact his clinic directly by calling Cancer Care Specialists of Illinois (217) 876-6600.